The new compact crossover is based on the Golf, with the practicality of an SUV and the quirky and dynamic hatchback styling. 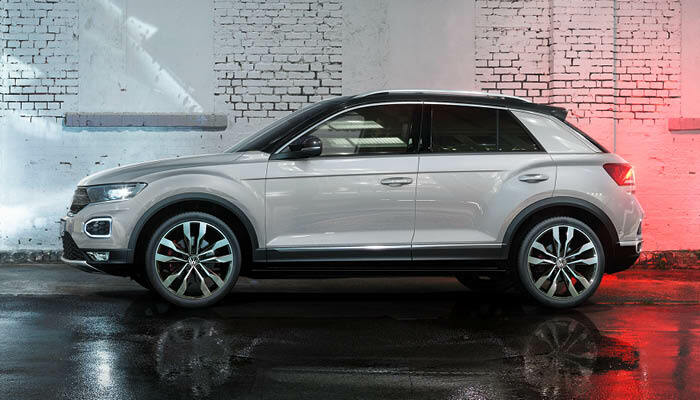 The T-Roc is snappy with sporty dimensions outside and great functionality inside. Stay connected while driving with the cutting-edge Infotainment systems like Car-Net which brings the internet to your car. You can also choose additional features that let you connect apps, navigate, and send safety and security notifications to your phone.